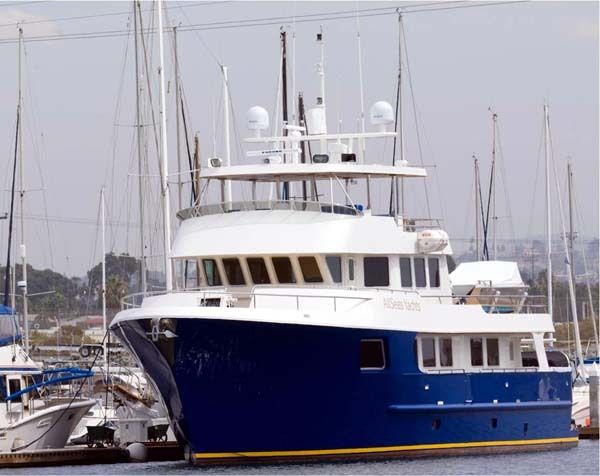 Vince Krivanek met with the owner/builder of the U.S. built ALL SEAS 92, hull #1 and hull #2 in San Diego, CA. These yachts are built on a hull developed through years of building commercial fishing boats and crabbers designed to withstand the worst conditions of Alaska and the Bering Sea. 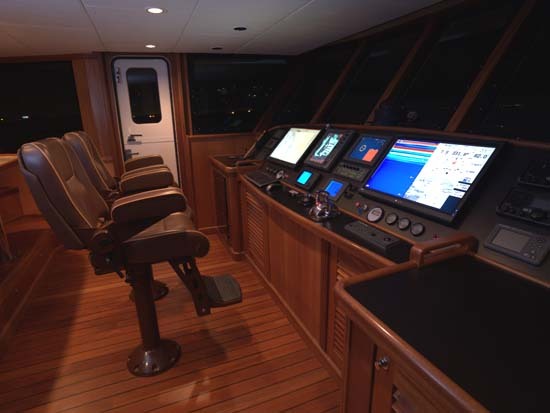 The ALL SEAS 92 is new, turn key, and ready to explore. Her 26' beam and hull design give exceptional stability, even when the stabilizers are not engaged. The engineering is excellent with easy access to all equipment and systems. The exterior and interior finish is first class in every way. The large country kitchen galley is perfect for casual dining with family and friends. 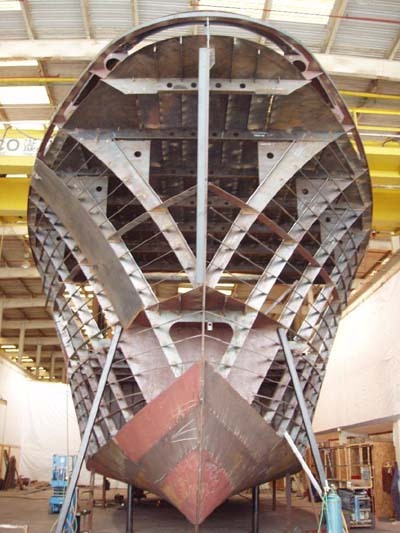 Hull # 2 will incorporate several changes, some coming from our own John DeCaro. Crew flow has been improved by moving the crew quarters aft, and adding access to the aft deck through the engine room. Caterpillar C18's and Quantum Marine zero speed stabilizers are new and the engine room and electrical room have been expanded to add an Atlas power converter and room for dive compressor and gear. The galley pantry has more refrigeration and additional storage. 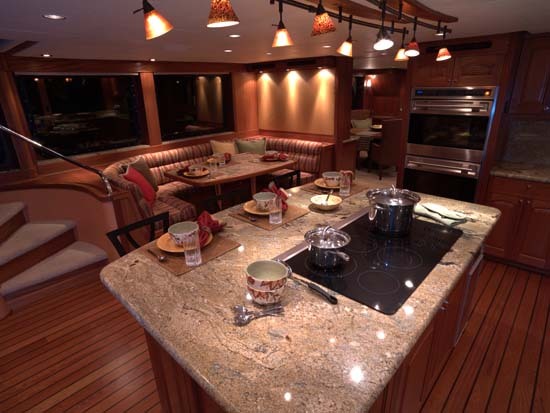 The ALL SEAS 92, with 5000 mile range, is a perfect yacht to explore the world in safety, comfort and style. I highly recommend an inspection in beautiful San Diego. 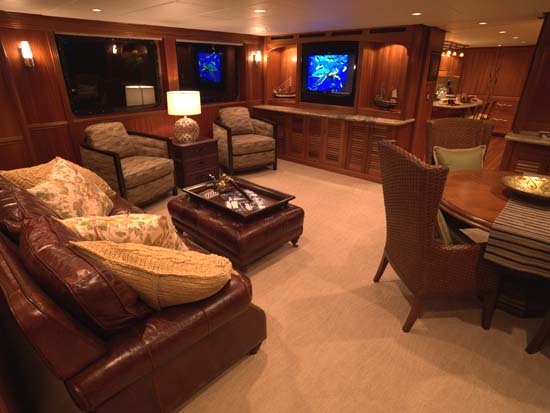 Both yachts are located minutes from the airport.